The Tabernacle Choir provided the music for the Saturday morning, Sunday morning, and Sunday afternoon sessions. Craig Jessop and Mack Wilberg directed the choir. John Longhurst, Clay Christiansen, Richard Elliott, and Andrew Unsworth were the organists. A Young Women choir from stakes in Mapleton and Springville, Utah, provided music for the Saturday afternoon session. Manu Harris directed the choir, and Linda Margetts was the organist. A father-and-son choir from stakes in Centerville, Bountiful, and West Bountiful, Utah, provided music for the priesthood session. Stephen P. Shank directed the choir, and Richard Elliott was the organist. Throughout the conference sessions, prelude, postlude, and interlude music and accompaniments on the organ were played by John Longhurst, Clay Christiansen, Richard Elliott, Andrew Unsworth, and Linda Margetts. From the November 2007 Ensign — Music by a Relief Society choir from stakes in South Jordan, Utah; Merrilee Webb, director; Bonnie Goodliffe, organist: “Redeemer of Israel,” Hymns, no. 6; “Hark, All Ye Nations!” Hymns, no. 264, arr. Webb, unpublished; “High on the Mountain Top,” Hymns, no. 5, descant arr. Webb, unpublished; “The Lord Is My Light,” Hymns, no. 89, arr. Kasen, pub. Jackman. From the November 2007 Ensign — Music by the Tabernacle Choir; Craig Jessop and Mack Wilberg, directors; John Longhurst, organist: “Press Forward, Saints,” Hymns, no. 81; “Faith of our Fathers,” Hymns, no. 84, arr. Longhurst, pub. Sonos; “Come unto Him,” Hymns, no. 114; “Now Let Us Rejoice,” Hymns, no. 3; “Where Can I Turn for Peace?” Hymns, no. 129, arr. Wilberg, unpublished; “I Believe in Christ,” Hymns, no. 134, arr. Wilberg, unpublished. From the November 2007 Ensign — Music by a Young Women choir from stakes in Mapleton and Springville, Utah; Manu Harris, director; Linda Margetts, organist: “Come, Rejoice,” Hymns, no. 9, arr. Unsworth, unpublished; “Joseph Smith’s First Prayer,” Hymns, no. 26, arr. Kasen, pub. Jackman; “Come, Come, Ye Saints,” Hymns, no. 30; “Oh, May My Soul Commune with Thee,” Hymns, no. 123, arr. Dalton, pub. Plum. From the November 2007 Ensign — Music by a father-and-son choir from stakes in Centerville, Bountiful, and West Bountiful, Utah; Stephen P. Schank, director; Richard Elliott, organist: “Redeemer of Israel,” Hymns, no. 6; “Sweet Is the Peace the Gospel Brings,” Hymns, no. 14, arr. Staheli, unpublished; “High on the Mountain Top,” Hymns, no. 5; “We Ever Pray for Thee,” Hymns, no. 23, arr. Kasen, unpublished. From the November 2007 Ensign — Music by the Tabernacle Choir; Craig Jessop and Mack Wilberg, directors; Clay Christiansen and Andrew Unsworth, organists: “Guide Us, O Thou Great Jehovah,” Hymns, no. 83; “O Thou Kind and Gracious Father,” Hymns, no. 150; “A Child’s Prayer,” Children’s Songbook, 12, arr. Perry, pub. Jackman; “I Am a Child of God,” Hymns, no. 301; “God So Loved the World,” The Choirbook, 28, pub. IRI; “How Firm a Foundation,” Hymns, no. 85, arr. Wilberg, unpublished. From the November 2007 Ensign — Music by the Tabernacle Choir; Craig Jessop and Mack Wilberg, directors; Andrew Unsworth and Richard Elliott, organists: “Beautiful Zion, Built Above,” Hymns, no. 44, arr. Wilberg, unpublished; “Our Prayer to Thee,” Parry, text by Russell M. Nelson, arr. 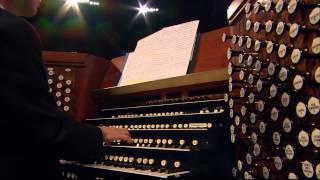 Wilberg, unpublished (soloist: Scott Miller); “We Thank Thee, O God, for a Prophet,” Hymns, no. 19; “Sing We Now at Parting,” Hymns, no. 156, arr. Wilberg, unpublished.